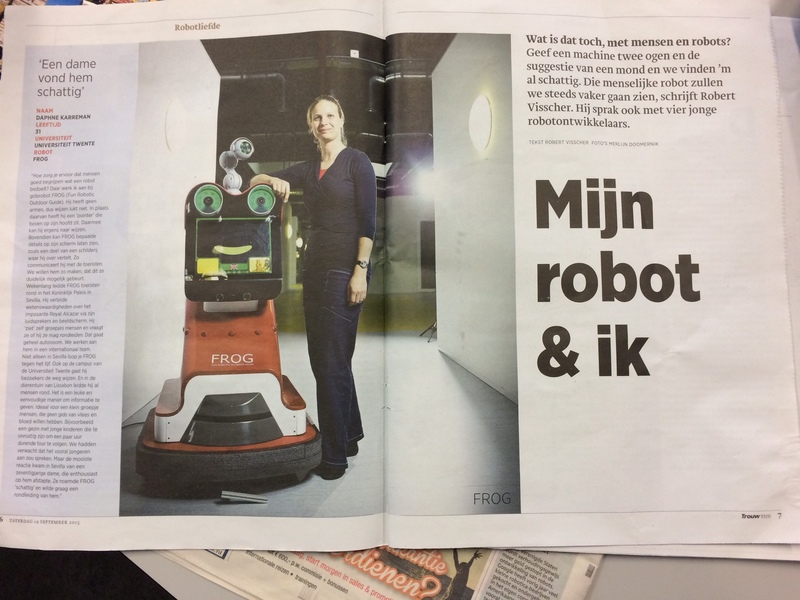 I was mentioned in an article on ‘My robot and me’ for the Dutch newspaper trouw. Also mentioned was the Spencer EU project. 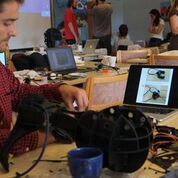 with his interactive installation which explores shapes and people’s attention. Yesterday 9 September I was nr 4 to give a view on the future in 75 years, together with 75 innovators (all big names!, I feel honoured). Everybody knows you should only give predictions for the time after you are dead because that way nobody can laugh at you anymore. So, I dared it (in Dutch). Vrij Nederland is a public opinion magazine in the Netherlands and came into existence as a secret ‘Liberate Netherlands’ newspaper during the second world war. Michiel Hulshof wrote the article, I read a lot of his work and I think he is a really good science journalist. 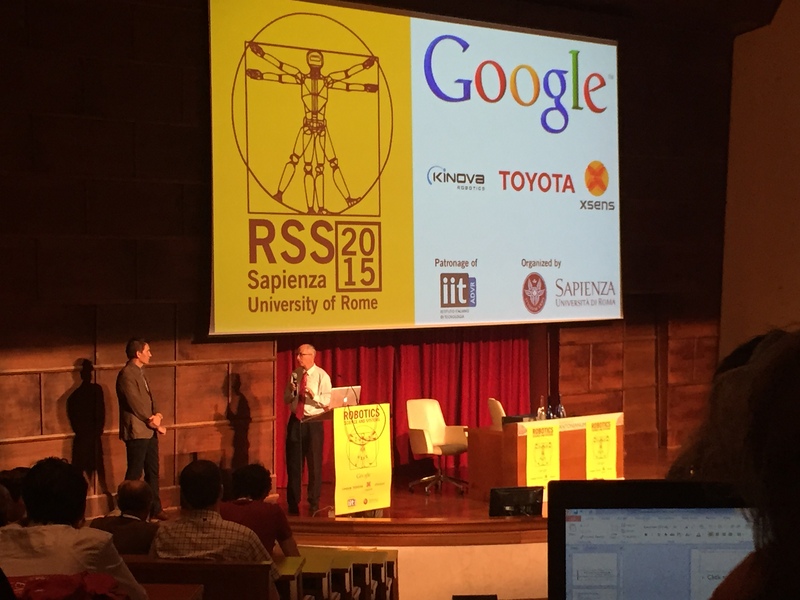 I gave a keynote talk at the super prestigious conference Robotics Science and Systems, 14 July in Rome on Social Robotics. Really enjoyed the conference and sincerely hope to return. 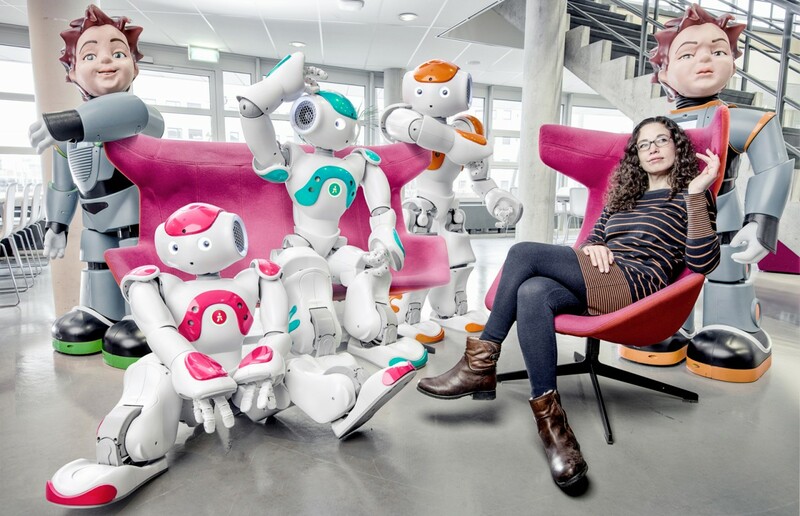 All about what it is like to have a robot in your home. 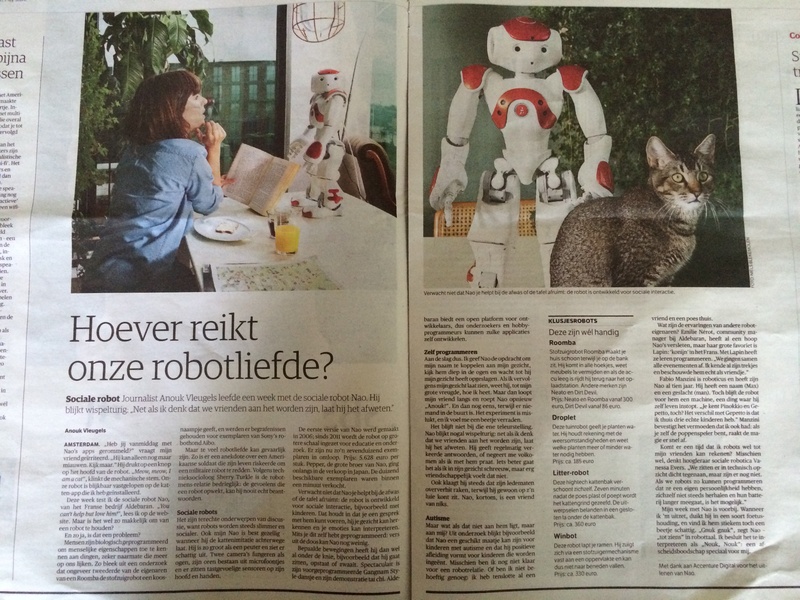 An article by Anouk Vleugels in the Dutch NRC Newspaper, she spend a week with Nao at home and reported her experience and our discussion about it. 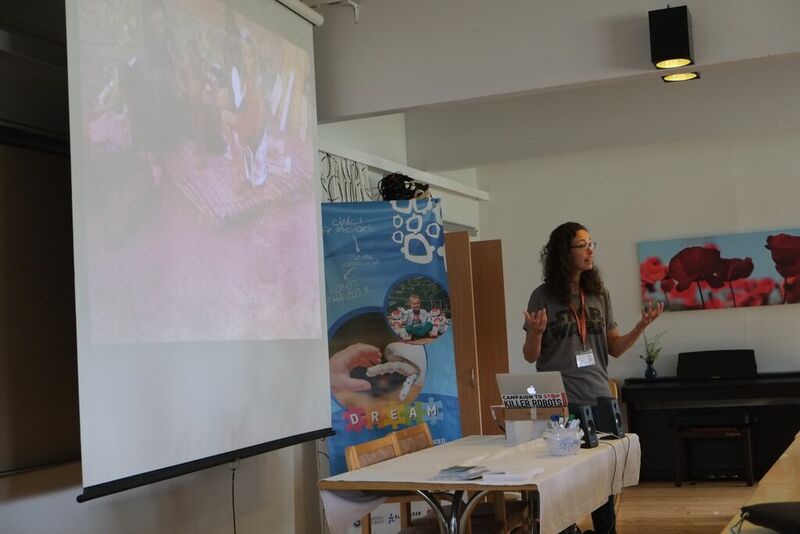 I gave a talk at the HRI summerschool in Aland, Finland (25-28 August) this year. It was a great Summerschool because there was a crowd of PhD students from vary different backgrounds and they got a whole lot done! I also enjoyed the now infamous mosquito party at Bungalow nr 31. Next year in Twente?